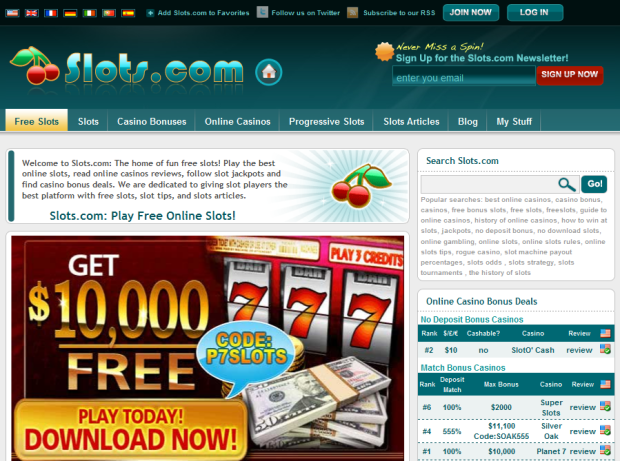 Big domain name sales are something we’ve reported on before, and this one belongs in the list of biggest ones ever: Slots.com has just been sold for $5.5 million, industry blog Domain Name Wire has been able to confirm. Think about it: that’s more than $1 million per character. According to DNW, the domain name was listed for sale in a Snapnames auction. The auction concluded without a bid reaching the reserve, but Moniker (another Oversee company) worked with both parties to close the deal. The domain name was originally registered back in 1995 and is currently used for an online gambling portal. It’s unclear who the buyer is and how they plan to recuperate the purchase sum exactly, and the seller’s identity has been shielded from public eyes. Rest assured he or she has enough pocket money to play the slots for a long time now, though.